The whole point of using a moisturizer is to lock in any natural hydration in the skin and to create a barrier from external elements. But, what if your skin is dry to begin with and there’s no hydration to work with? There is a small window from the time you wash and dry your face that is the ideal time to apply your moisturizer. Otherwise your skin may be too dry and the moisturizer may just sit on the surface of your skin. We recommend adding a hydrating step to your regimen to get maximum results from your products. 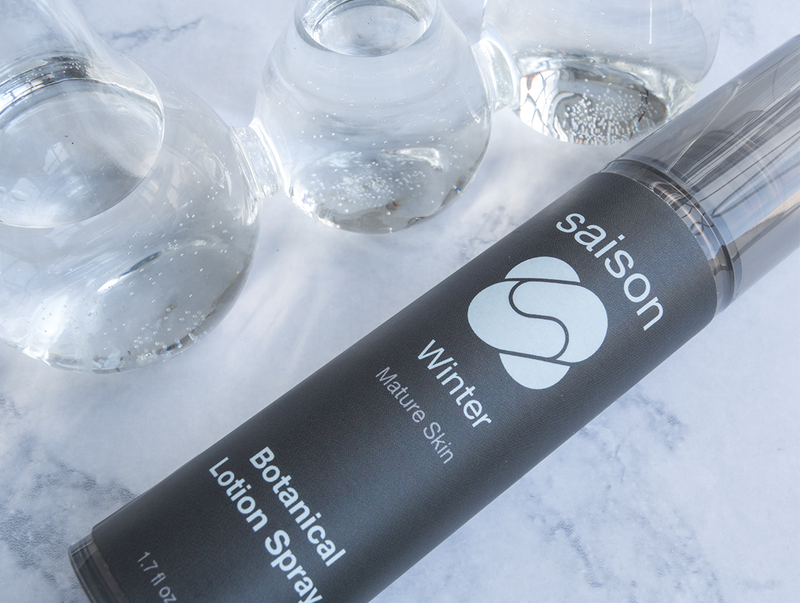 Different from a toner – which is supposed to re-balance your skin’s Ph levels after washing it – we created the Saison Botanical Lotion Spray to help maximize your skin’s moisture levels, before you put on your moisturizer. This Lotion Spray contains aloe water and glycerin to help draw moisture into your skin and really hydrate it. The Botanical Lotion Spray is also highly concentrated in botanical extracts that are very beneficial for your skin. There is no “dead water” in this product. Every ingredient is an active ingredient. And because it is in liquid form, all the nutrients can be absorbed into your skin more easily. Then, with the moisturizer, it not only helps lock in the nutrients and moisture, but it will continue to feed your skin more nutrients when it’s able to absorb more. By layering different textures of hydrating products from lightest to heaviest – lotion spray, treatment oils and moisturizer, this creates a “slow drip” effect to keep skin hydrated, and it creates an effective barrier to protect skin from the elements. During the winter, it’s difficult to maintain moisture levels as your skin tries to adapt to the extreme weather and temperature conditions like cold air, wind and indoor heaters. And because your skin thickens to build its own protective barrier, it becomes more difficult to rehydrate your skin, or to absorb any skincare products. After cleansing, spray the Saison Botanical Lotion Spray liberally across your face and neck. Use the palm of your hands to gently press the product into your skin. The warmth of your hands will help with the absorption process.